If you are intending to move, your-to-do list likely comprises such tasks as hiring a moving truck, packing boxes, and creating an inventory. 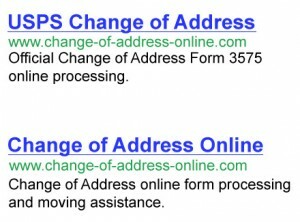 Need to know how to Change Address at Post Office? No problem we’re here to help! 1. Filling out change-of-address forms so that the mail sent to your previous address is re-routed to your new home. This service lasts for up to a year after which any correspondence sent to your old address will automatically be returned to its sender. 2. You could also sign up for the premium forwarding service- this allows your letters and bills to be forwarded albeit temporarily. This arrangement is ideal for those with dual residences i.e. if you live in Florida during winter and are in Maine for the summer, your mail could follow you. This service, however, attracts a cost- you must pay $15 to enroll and $17 each week that correspondence is forwarded to you. 3. The postal service’s General Delivery Service can also be used by those who relocate to a new town but are yet to get a permanent address. Under this arrangement, those who matter to you should be able to reach you by sending correspondence addressed to you with the accompanying words ‘General Delivery’; the name of the state; city, and the 9-digit ZIP code of your neighborhood’s main post office i.e. your mail could be addressed to John Doe; General Delivery; State, Your Town, 111111-1234, and John Doe would then be able to collect it from the post office. This could be up to a month after its arrival. To permanently change your address, you must fill out change-of-address forms. You can do this at the nearest post office, online, or by downloading the form online, filling it, and mailing it to the post office. You can stop asking How to Change Address at Post Office, we’ve got all the information you need to know! Of all these ways, the easiest is, undoubtedly, filling out forms online although you will have to use either a debit or credit card- you will be charged a $1 verification fee that is meant to guard you from fraud. Your debit or credit card information will then be matched with the address on their file to ascertain that you are indeed the one carrying out the change of address as opposed to an identity thief. When filling out this form, you will be asked whether the move is temporary or permanent and when your correspondence should start being forwarded. Do not wait until the very last minute to do this. The postal service recommends filling out the form at least a week before you need the correspondence to be forwarded. Again, you do not want to be too haughty filling out the forms as the initial forwarding date ought not to be more than 3 months from the time you put your details on paper. Lastly, remember to indicate whether the change of address is being done on behalf of a business, family, or individual. Also, if you receive correspondence under several names e.g. an alias or maiden name, the change-of-address should be completed for each name. However, family members sharing the same last name need only fill one form.